Welcome to The Dynasty Guru’s Triple Play! This is a brand-new series where three very cool dynasty baseball nerds- Adam Lawler, Patrick Magnus, and Keaton O. DeRocher- bring to you a succinct analysis of a pitcher, a hitter and a prospect from each organization. We’ll be running this regularly leading up to and through Opening Day! Each team will be covered in alphabetical order. This article we’re covering the Los Angelas Dodgers. And, while we here at The Dynasty Guru are primarily baseball obsessed, we’ll also be touching on some music we’ve enjoyed from each team’s home state. Enjoy, and leave us your question and comments below! Originally drafted out of Virginia by the Mariners in the 5th round of the 2012 Draft, Taylor actually moved relatively quickly through the minors. He reached the majors just two years after being drafted, and his numbers on the way there were impressive (if we ignore power). Double-digit walk rates, strikeout rates in the teens, batting averages over .300, a career minors OBP of .400 and a solid chunk of steals to boot. His first cup of coffee in 2014 was unspectacular, but not a total disappointment. In 151 at-bats over 47 games Taylor mustered no home runs, nine runs batted in, a walk rate of 7.3%, and a strikeout rate of 25.8%. However, he was able to post a batting average of .287 and an on-base percentage of .347. Those last two numbers are what would have given you some hope going into the 2015 season that the production would follow given the opportunity. 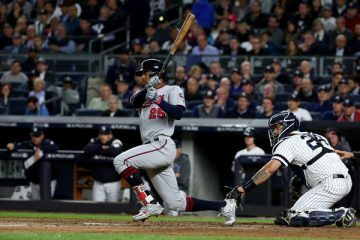 The reality was Taylor’s strikeout rate went up, his walk rate went down, and his average and OBP regressed in a major way; he seemed to be trending towards the limbo of the dreaded Quad-A player. Seeming to feel the same, the Mariners cut ties with Taylor by sending him to Los Angeles in exchange for Zach Lee. 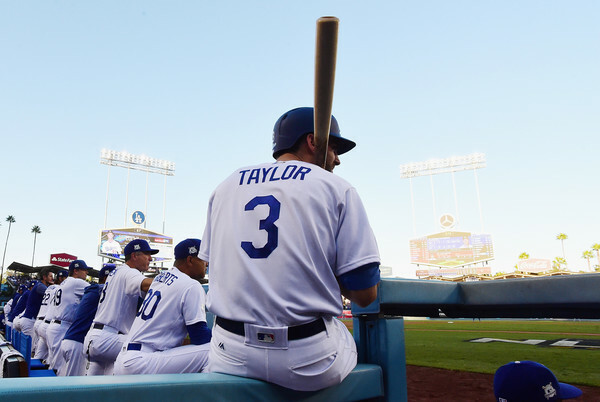 2016 with the Dodgers was more of the same for Taylor, aside from his first career home run (after 97 games): his strikeout rate was still high, his walk rate was still low, and he just wasn’t hitting the ball well enough to be a major league regular. He needed to make a change. Fortunately for him, he did exactly that. You dont need me to tell you Taylor broke out in 2017- 126 wRC+, 4.7 WAR, 21 homers, 85 runs, .288 average, .358, OBP…But what caused the change? The answer is: swing mechanics. There were two distinct things Taylor changed about his mechanics at the plate that lead to his breakout 2017 season. Before we get into the changes, let’s break down his swing and stance pre-changes. There are two things to take note of here. 1- prior to loading with the pitch, his bat is sessentially glued to his shoulder. It even stays close as he swings, as if he’s un-sticking it. 2- there is no real leg kick. There really isn’t much pre-pitch motion to Taylor’s stance at all. This has its pros and cons. Pro: his head is level and eyes remain still on the pitcher’s arm to pick up the pitch out of the pitchers hand more easily. Con: his body fails to generate any real momentum towards the point of contact, relying instead on natural raw power to carry contact. But therein lies the problem- Taylor has no raw power to speak of. So how did he adjust this? By adding a leg kick, Taylor got his body moving more forward and generated more torque in the start of his swing with his lower half. He also added a twitch with the bat pre-pitch to carry that momentum through to the point of contact and exert the newly created energy into generated power. To those of us watching games in the stands or on TV, the change was subtle enough that it probably went unnoticed unless you were specifically looking for it. Being the physics genius I am now assuming Taylor to be however, he and his swing coach knew it was actually a major change. Baseballs are hit through a transfer of energy, which is created by momentum, which is created by the kinetic chain (a string of joints throughout the body). The kinetic chain works together to transfer energy from the bat to the ball. The more energy created, the harder and farther the ball goes. If you can increase your body’s momentum, you increase the energy created in the swing. This is why the changes that Taylor made are so important. Momentum is generated by weight multiplied by movement; in that first gif we see he isn’t moving very much at all. Almost all of his momentum is generated with his arms via the motion of his swing, which itself starts from a dead stop. It’s no surprise it took him 97 games to hit his first major league home run. In the second gif we see that Taylor not only get his body moving forward to meet the ball, he gets that motion in his bat pre-pitch so it’s not starting from a dead stop. The impact of the extra momentum he was able to generate in his swing was immediately evident. Right away Taylor started hitting the ball harder. It was noticeable in spring training last season and it didn’t slow down once he was in the majors for good. I picked Chris Taylor to write up for two main reasons: that I picked him up in a bunch of leagues last year and he was awesome, and that the change he made in his mechanics was the exact opposite of the change Javier Baez made, and I wanted to highlight the how unique baseball players can be. Baez started with a huge leg kick and removed it, Taylor started with almost none and added one. Both players increased production and yet made the opposite changes, highlighting why baseball is so fascinating and why raw power is raw power. Circling back to Taylor, he showed in the minors he could do all the things you need to at the plate: he got on base, he hit for average, he drew walks and didn’t strike out at a terrible clip. Doing it in the minors doesn’t mean it will translate though, and he was exposed easily. After making these adjustments though, now he’s back to tearing it up on the diamond and I don’t expect it to slow down. Audioslave – RIP Chris Cornell. Like A Stone and Be Yourself are worthy of the hall of fame on their own and add them to the rest of Audioslave’s catalog and its all a masterpiece. Brock Stewart embodies everything I love about pitching. If I were to call to the heavens and ask for an almighty being to sculpt the perfect reliever she would give me Kenley Jansen. If I asked her to sculpt the reliever who may one day be the lights-out setup man to preclude the perfect reliever, she might end up giving me Brock Stewart. The industry will point to young arms like AJ Minter, Zac Burdi, or Carl Edwards Jr. as the arms to fawn upon. Even within Stewart’s own team, experts will spill gobs of digital ink over Walker Buehler, Yadier Alvarez, and Mitch White. There is good reason for that too. However, I feel that the aforementioned Jansen is the only reason Brock Stewarts name is not bandied about in that group of up-and-comers. Why? That can be explained in 3 gifs. Did you see that? Did you see the differences among the pitches? If you did, you’re better at this than I am. That’s what is so awesome about Brock Stewart. His delivery and mechanics are as flawless and as repeatable as any I have seen when deep diving into pitchers. Yes, the movement of the ball shows you what he pitched, but you don’t know that until the ball is breaking the plane. Which means it’s impossible to tell what the hell is coming at you if you’re poor Ender Inciarte, Brandon Phillips, or Kurt Suzuki. Unfortunately for Stewart, the main issue working against him is walks. Oddly enough this was unique for him as he never struggled with the free pass before (issuing 2.4 BB/9 throughout his MiLB tenure). In comparison, Stewart provided bases-on-balls at 4.98 BB/9 in the majors. Moreover, his O-Swing differential (O-swing % – O-contact %) was a few percentage points below the league average of 30%. This is just a really nerdy sabermetric way of saying that he didn’t induce enough swings on pitches outside the zone, and even when he did, batters were making too much contact with the offerings. This is borne out in the data via Brooks Baseball too. While Stewart’s velocity on the fastball is fine, there’s not a ton of movement on it. He needs to induce swings, namely with his hard-biting slider as a wipeout pitch, in order to have success. It is pretty clear (based on the 2017 month-over-month readings of his slider below) that this didn’t occur against savvy MLB batters. They laid off the offerings that were largely down and away for RHB and inside on the hands for LHB. Progression takes time. We all know that. When (not if) Stewart figures out that he needs to keep more than 20% of his sliders inside the zone, odds are his walks decrease significantly as batters will chase more often and the contact he ends up inducing will be weak. My confidence in his ability is buoyed on the foundation of control and command he displayed in his pitches over his entire minor league career. Even if Stewart never gets to that point of control, and even though he is currently in the minors, he has value right damn now. He’s been bandied about as the 6th man – notably before the much-ballyhooed Walker Buehler – for the Dodgers rotation. Also, it’s clear he’s an injury away from being called up to perform relief duties. He’s on a winning team who has the ability to experiment with him as he grows, so the contextual factors are ripe for success. If he unlocks the potential he’s displayed year over year in the minor leagues, his ceiling this year is Archie Bradley or Brad Peacock. I love the talent. I love the ceiling. You should too. The Pharcyde continues to be one of the most unacknowledged hip-hop groups by the mainstream despite their presence being felt far and wide over the course of almost three decades. Think of them as the Jose Quintana of hip-hop To those in the know, they know just how damn good The Pharcyde has been album after album. Since their formation in 1989, they have pumped out highly respected records: Bizarre Ride II the Pharcyde (1992), Labcabincalifornia (1995), and Plain Rap (2000). They have collaborated with better-known artists like the Gorllaz, The Roots, J Dilla, A Tribe Called Quest, and De La Soul, but if you want a solid introduction to the mid-90s hip-hop scene, give Runnin’ a listen. ________ is a great pitcher when they’re on the field. Over the course of his five years he’s been very, very, very good. Glorious numbers, Alex Wood! However, he’s only managed to pitch 651 innings over the course of his career. That’s pretty, pretty, pretty bad. He most definitely falls into the good-when-healthy category of starting pitchers. He’s been nicked up often, but is effective when healthy. So what has this dominant pitcher been dealing with? Considering the recent pitchers I’ve researched, this actually isn’t terrible. One small addition to this list is the Tommy John surgery he had his senior year of high school in 2008. The Spaghetti Monster of Starting Pitchers? Alex Wood has an insanely funky delivery. His delivery is absolutely ludicrous. So much so that he’s drawn comparisons to the king of the funky delivery, Chris Sale. For years the baseball community touted Chris Sale as an elite pitcher whose elbow was bound to blow because of his unorthodox delivery. That has not happened. We cannot, however, say the same thing for Alex Wood. His elbow exploded in high school, and he’s been battling injuries off and on throughout his career. So when his velocity dropped by approximately two miles-per-hour last year, followed by two different DL stints, well it’s a pretty easy conclusion to draw. Alex Wood can’t stay healthy. I was very much ready to tell you that Alex Wood can’t stay healthy, but then I dug deeper with co-author of the never-mentioned-on-the-podcast Triple Play, Adam Lawler. Our fine co-author stopped me in my tracks with science and research. I originally wanted to take my Sale versus Wood delivery debate deeper, but Adam stopped me in my tracks with talk about different arsenals, and their impact on the body…blah,blah, blah. It was in a word, annoying. You’ll notice a sizable difference between 2015 and 2016, which was because he was moved to the ‘pen. However, in 2015 he managed 189.2 innings, which is quite a bit more than when he lost close to 2MPH on his sinker last year. Did he lose any velocity when he was a starter in 2015? Yep, he lost around 2MPH on his fastball in 2015 as well. What’s even more interesting is that he’s velocity dipped around August. At the end of August 2015 he had pitched 154 innings pitched, and he didn’t go on the DL. In 2017 he was only able to pitch 152 IP, which is after a year with a significant reduction in his workload, both due to role and injury. Based on previous discussions with our resident M.D. extraordinaire Dr. Mike Tanner on Danny Duffy, this may just be a result of prior injury. 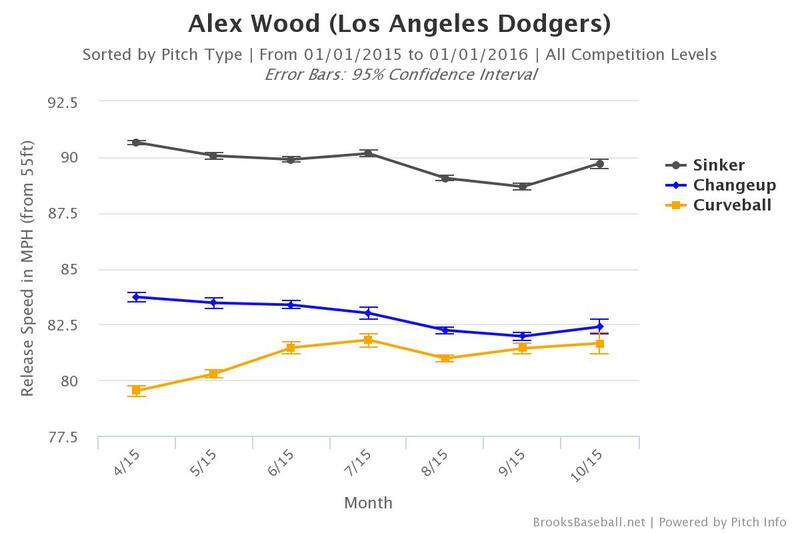 One last piece of evidence before I’ve exhausted your ability to read about Alex Wood. The 28-year old pitcher’s velocity dropped in July of 2017. 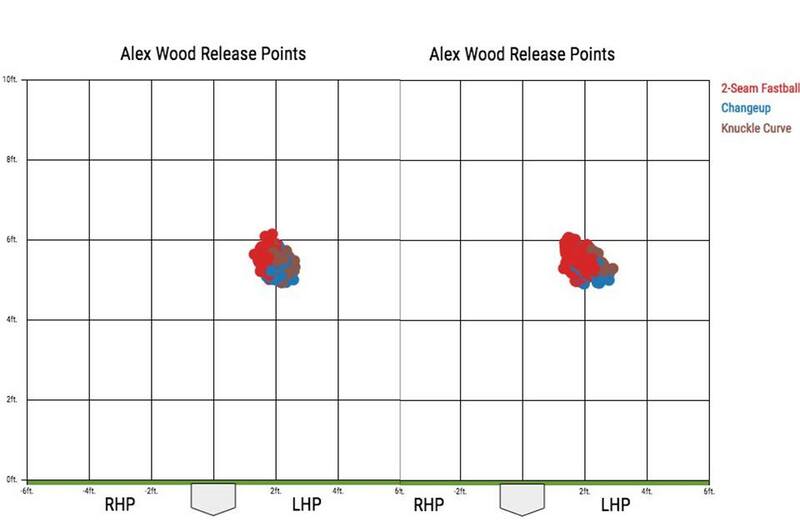 The hype-machine for Wood prior to his decline last year was that he had fixed his release point. This insured that he would stay healthy, and that his pitches were more effective. After July though, his release point for the remainder of the year was lower. July was also the month he returned from a 10-day DL stint for shoulder inflammation. That, to me, points more towards a stronger likelihood that his delivery is limiting his time on the field, rather than fatigue (Sorry Adam). Ultimately Wood might be best suited as a long relief role, rather than a starter. When considering his delivery, his injury history, and the rest of the evidence I’ve laid out in this piece, I’m not buying that we get any more than 150 innings pitched from Wood. I’m also not sure I’d be willing to negotiate with someone who owns Wood coming off last season. Meaning, I’m staying away in most leagues. Cheap Wood is the only Wood I want. That’s what my brain says anyway, my heart wants to build a staff with Alex Wood, Garret Richards, and Danny Duffy. My heart is a sucker for upside. 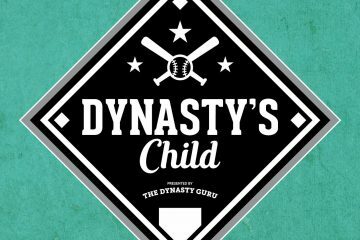 Join The Dynasty Guru Facebook group for tons of posts, debates, and many replies from writers here at TDG!